Custom Media Showreel 2018: Creative Agency in Japan Published on March 16th, 2018 Custom Media is a bilingual, digital content-creation and communications agency in Tokyo. We offer innovative digital and print solutions to a range of clients using our expertise in strategy, creation and digital. Here is a peek at just some of our innovative work from a decade of digital. 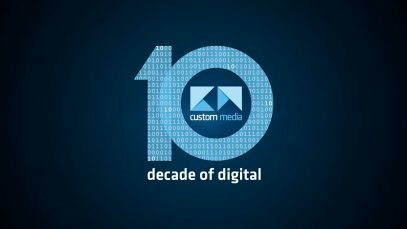 Custom Media is a bilingual, digital content-creation and communications agency in Tokyo. We offer innovative digital and print solutions to a range of clients using our expertise in strategy, creation and digital. Here is a peek at just some of our innovative work from a decade of digital.